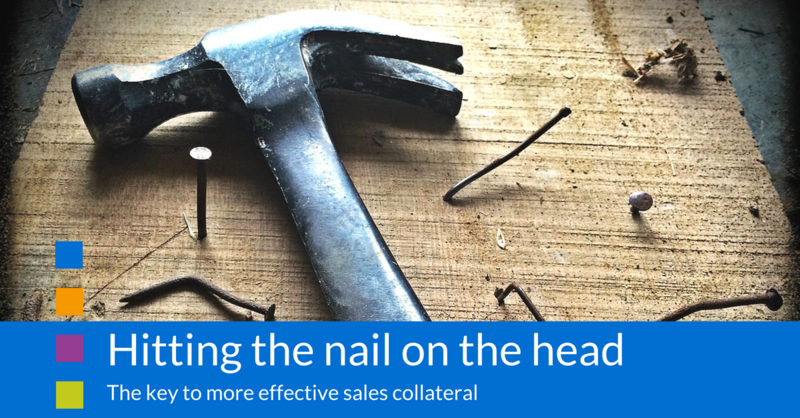 Hitting the nail on the head: the key to more effective sales collateral. When Theodore Levitt said, “people don’t buy quarter-inch drills, they buy quarter-inch holes,” he may have hit the nail on the head (excuse the pun!). What he meant, of course, is that people look for solutions, not products. However, unless Levitt had a group of quarter-inch-hole-drilling enthusiasts in mind, he didn’t take the principle far enough. And if your goal is to create effective sales collateral, you need to avoid the same mistake. The thing is, people don’t really want quarter-inch holes either. “People don’t buy quarter-inch drills, they buy the ability to quickly and easily complete the DIY jobs that they’ve been putting off for weeks because, frankly, there’re a bunch of other things they’d rather do with their well-deserved weekends”. Granted, it doesn’t roll off the tongue quite like Levitt’s version, but it does reinforce the fundamental point that’s missing from the original: to articulate how your solution will enhance the lives of your audience, you need a comprehensive understanding of who they are and what they’re trying to achieve. To sell your solution, you must understand the problem. Levitt was right to point out that your audience don’t buy products and services; they buy what those products and services enable them to do. That’s why you need to be able to step into their shoes and see the world through their eyes. Then, and only then, will you be able to accurately articulate the benefits that your solution will bring to their lives – and that’s how you close the deal. 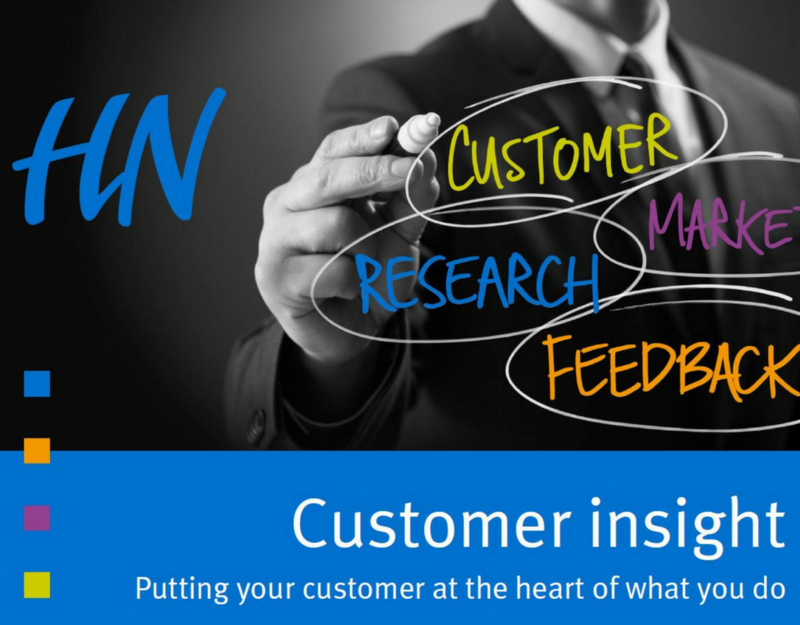 To get to know them better, fast, download our Customer Insight eBook. How can video increase the effectiveness of your content marketing? Here’s the problem: The key to more effective top-of-funnel content.